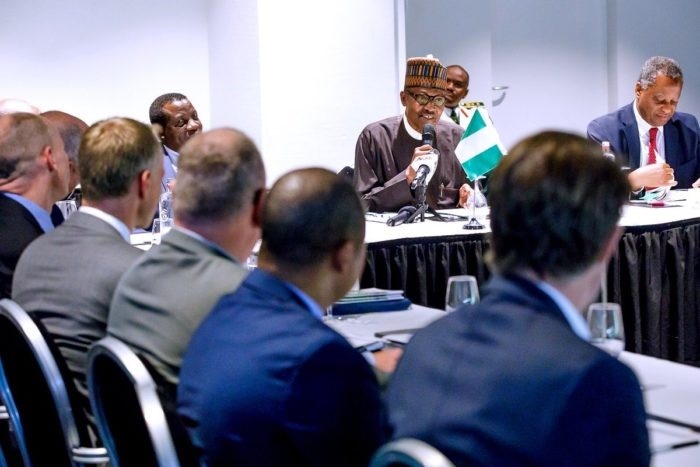 President Muhammadu Buhari meets CEOs of some Dutch companies operating in Nigeria (NAN Photo). “To get cotton to grow again in the country is like going back to the good old days when the textile industry used to employ hundreds of thousands of people"
A Dutch company that specializes in making clothes, the Vlisco Group, has proposed to Buhari an investment of 200 million dollars, about 61 billion naira by the company in Nigeria. The investment, if it pulls through, should create at least 700,000 jobs. Of course Buhari has welcomed the proposal and pledged to revive the ‘good old days’ when the cotton and textile industry employed hundreds of thousands of Nigerians. “To get cotton to grow again in the country is like going back to the good old days when the textile industry used to employ hundreds of thousands of people. “I am very excited about the prospects of reviving the industry because it will keep farmers busy, create employment which brings more security, help the economy, transfer of technology and of course we have a large market to absorb the products,” he said. “I want a new strategy that brings Vlisco manufacturing to Nigeria. I want to change the supply chain from Asia to Nigeria.,” he said.